FAQs - Toora Women Inc.
How do I access Toora’s accommodation services? If you need temporary crisis accommodation you can seek information from OneLink on 1800 176 468. In order to access one of our alchohol or other drug (AOD) programs, please directly contact our AOD team, to speak to a specialist staff member to find out more about our menu of programs. How do I access Toora’s Counselling Service? The counselling service runs independently. Please call on (02) 6122 7070 or email counselling@toora.org.au for information about referral processes. What do I need to bring with me to Toora’s residential services? For women who are escaping domestic and family violence (DFV) the priority is to be safe. If it is safe to do, please bring personal documents and identification such as birth certificates, passport for yourself and your children. Please also bring any copies of documents relating to your housing tenure or if you have any court orders. If you have any money, bank cards or payment books for welfare benefits bring them too. If you’re entering one of our alcohol and other drug (AOD) programs, please also bring along your detox discharge papers and proof of prescribed medication. From a practical perspective bring clothes for yourself and your children (enough for a few days) and your children’s favourite small toys. If you or your children are on regular medication please bring the prescribed medication with you if you can. Which personal belongings can I bring with me? Toora offers a communal living space with most of the facilities shared with other women. Therefore, there are restrictions on the amount and type of personal belongings that can be brought into the Toora accommodation. Will my stay be confidential? Yes. The location of our accommodation is strictly confidential due to the need for safety and privacy of the women staying with us and for Toora staff members. Toora’s confidentiality policy applies to all Toora staff and clients to ensure the safety of yourself and other residents. Who has access to the information that I share with Toora? Yes, Toora offers programs that specifically accommodate women with their accompanying children. Can I bring my teenage son with me? Some houses run by the Homelessness and Domestic Violence programs accept male children up to the age of 16. Toora’s Alcohol and Other Drugs (AOD) programs accept boys 12 years and under to their shared houses. Our properties are not equipped to provide accommodation for any pets. Therefore, we would encourage you to seek a caring temporary home for them before entering our accommodation services. If I have no access to money, can I still come to Toora? Yes, even without access to money you are able to come and stay at Toora. We will support you in accessing emergency payments or other social welfare benefits and allowances. Do I have to be substance free? Toora’s Alcohol and Other Drugs (AOD) Residential Programs require clients to be abstinent from alcohol and other drugs. Lesley’s Place accepts women who have gone through a supervised withdrawal or can present after a short period of abstinence and produce a negative AOD screen. Marzenna House requires abstinence for a minimum of three months. The AOD Outreach Programs do not require abstinence however clients cannot attend the program intoxicated. I don’t need accommodation, but can I still receive assistance? Yes, Toora Domestic Violence Service, Homelessness Service and Toora Alcohol and Other Drugs (AOD) Service all run an Outreach Program. Will I have to share a room or will I have my own room? At Toora you will always have your own private room. However, most of our properties are shared houses which means that the common spaces –the living room, kitchen, playroom and bathroom– will be shared with other residents. What are my responsibilities in the house? When you arrive you will be asked to sign a Toora Occupancy Agreement which will include the terms under which you can stay in our shared accommodation. These terms include the rent to be charged, how long you can stay and any necessary rules to ensure the safety of yourself and other residents. Our houses also have their own house rules regarding the day-to-day running of the house. Generally, it is up to you and the other clients whether or not you share cooking or eat together at mealtimes. You can be as self-contained or as sociable as you want to be. 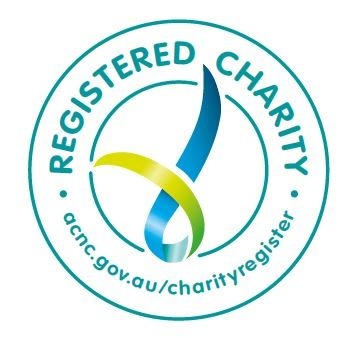 An exception is Lesley’s Place where clients are rostered to cook and expected to eat together, pay a meal contribution and engage in the weekly shopping trips as part of the budgeting education program. Can I have visitors to Toora? Generally, we do not allow visitors to come to our accommodation services for safety reasons to protect our residents and staff. An exception are some of our shared properties for families experiencing general homelessness. How long can I stay with Toora’s crisis accommodation services? Toora provides temporary crisis and medium-term accommodation. The duration of stays at our Domestic Violence and Homelessness Services is three months and can be extended depending on engagement towards the exit point to meet the specific needs of the individual. 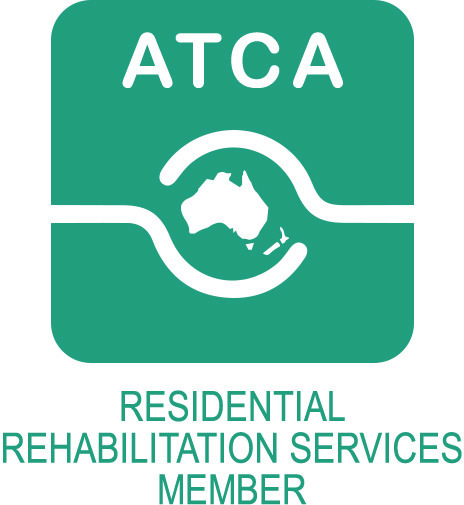 How long can I stay with Toora’s Alcohol and Other Drugs (AOD) accommodation services? Lesley’s place is a 12-week program while clients at Marzenna program can stay up to 12 months. What can I expect in individual counselling sessions? Our Counselling Service provides specialist alcohol and other drugs (AOD) counselling that focuses on strategies to prevent relapse, to raise self-awareness and to make positive life choices to support your recovery. We understand that other important issues are often interlinked with substance use and may need to be addressed as part of your recovery. Counselling is the time and space for you to explore your thoughts and feelings about what has occurred, and to discuss any difficulties in your life including grief and loss, domestic violence and other trauma or relationship issues. How many sessions can I have with my counsellor? We offer packages of four, eight and 12 sessions with an option to negotiate further appointments. When I am ready to leave Toora, is there an outreach service I can access? Yes, Toora’s Domestic Violence and Homelessness Services provide outreach support for up to three months after exiting our services. Our Alcohol and Other Drug Services provide post-treatment outreach support and case management for up to eight weeks. If I leave Toora, can I go back? Yes, unless there are any safety concerns.